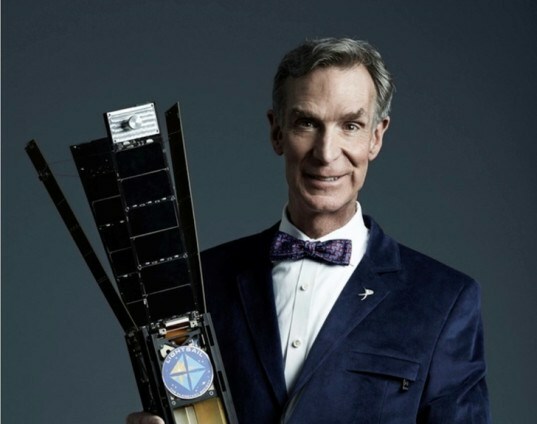 The Planetary Society has launched a prototype LightSail CubeSat on May 20, 2015, on a mission to test the spacecraft's solar sail deployment system and to validate other key systems. Its spacecraft truly will sail on sunlight during its primary mission in 2016. LightSail is a huge contribution to space science and exploration. To learn more about this amazing project, check out their dedicated website at sail.planetary.org. LightSail is a citizen-funded project by The Planetary Society, the world's largest non-profit space advocacy group. They are sending two small spacecraft into Earth orbit carrying large, reflective sails measuring 32 square meters (344 square feet). Solar sails use the sun’s energy as a method of propulsion—flight by light. Light is made of packets of energy called photons. While photons have no mass, a photon traveling as a packet of light has energy and momentum. 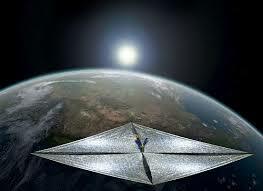 Solar sail spacecraft capture light momentum with large, lightweight mirrored surfaces—sails. As light reflects off a sail, most of its momentum is transferred, pushing on the sail. The resulting acceleration is small, but continuous. Unlike chemical rockets that provide short bursts of thrust, solar sails thrust continuously and can reach higher speeds over time. LightSail is a CubeSat. These tiny spacecraft often hitch rides to orbit aboard rockets carrying bigger payloads. CubeSats have standard unit sizes of 10 centimeters per side. They can be stacked together—LightSail is a three-unit CubeSat about the size of a loaf of bread. Once in space, LightSail’s solar arrays swing open, revealing the inside of the spacecraft. Four tape measure-like metal booms slowly unwind from storage, unfolding four triangular, Mylar sails. Each sail is just 4.5 microns thick—one-fourth the thickness of an average trash bag.